On April 1, 2017 heavy rain triggered flash flooding and landslides in the city of Mocoa, Colombia killing at least 316 people, injuring 332, and leaving 103 others missing. It is the third-deadliest weather-related disaster in Colombian history, and is regarded as the worst catastrophe in the history of Mocoa. Neighborhoods built along the banks of the aforementioned rivers were completely devastated. Numerous poorly constructed homes were leveled, and large portions of the city were left buried in several feet of mud. The disaster adversely affected 17 of the city’s neighborhoods, with the mayor of Mocoa, José Antonio Castro, stating some areas “[had] basically been erased.” The Independencia neighborhood was entirely destroyed. Approximately 45,000 people were directly affected throughout the city. By the morning of 8 April, at least 314 people were known dead (including 92 children), more than 400 were injured (including 167 children), and a further 106 were missing. 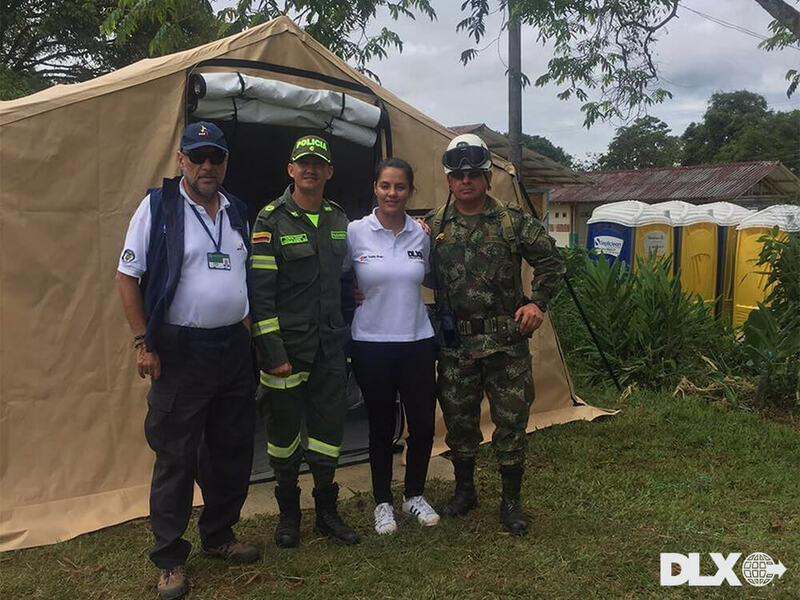 DLX was proud to be able to assist first hand with the deployment of ASAP® Rapid shelters and additional deployment assets. ATLAS® ANCHOR SYSTEM PATENT UK ISAR EXERCISE – PORTSMOUTH, U.K.